Fintech Worldwide Limited, a London based Events Company with an emphasis on emerging technology in conjunction with Eka Consult, is set to give the African continent a new vista in digital technology known as the blockchain. 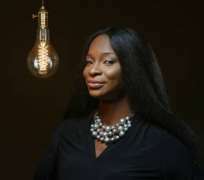 Declaring this at a press conference in Lagos recently, Steph Mekwuye, Founder and CEO Eka Consult and Strategist/ Coordinator for the Fintech worldwide in Africa, said the initiative will commence in Nigeria. Fintech runs events across the globe including London, New York, San Francisco, Dublin, Amsterdam, Tel Aviv, Hong Kong and several other locations. Our flagship event, Fintech Week, has been running since 2014. In 2015 it started running Blockchain Conferences leading up to Blockchain Week. For 2018 and beyond, Fintech Worldwide is focusing on continued organic expansion in key tech and financial service hub across the globe.